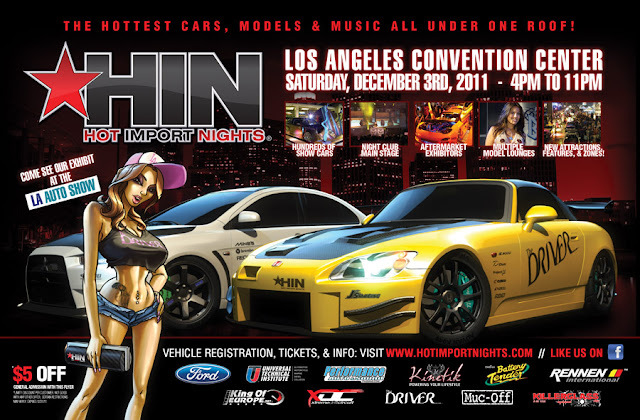 Hot Import Nights (H.I.N.) 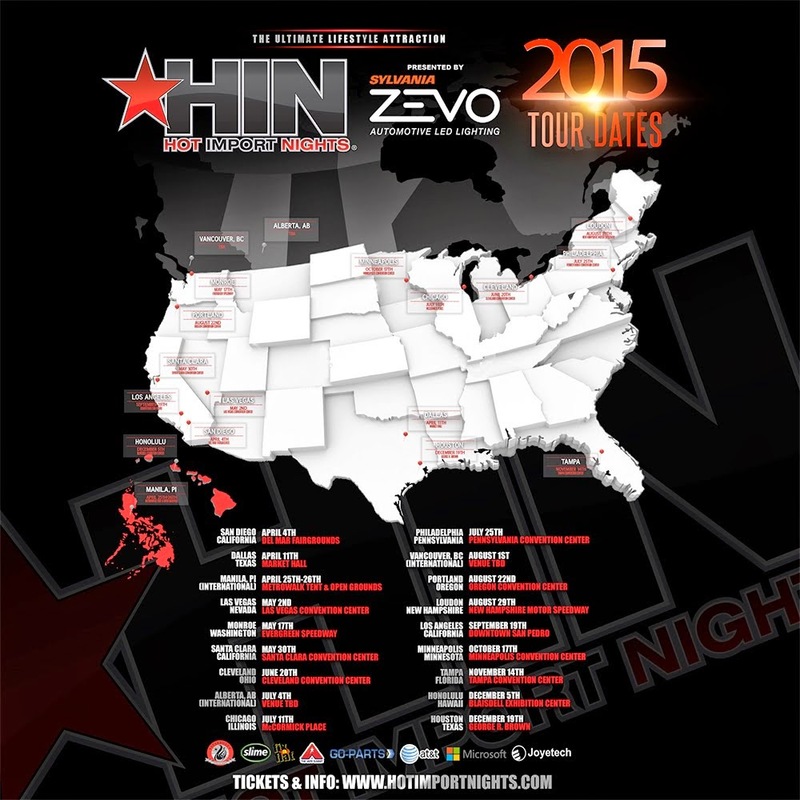 is back! 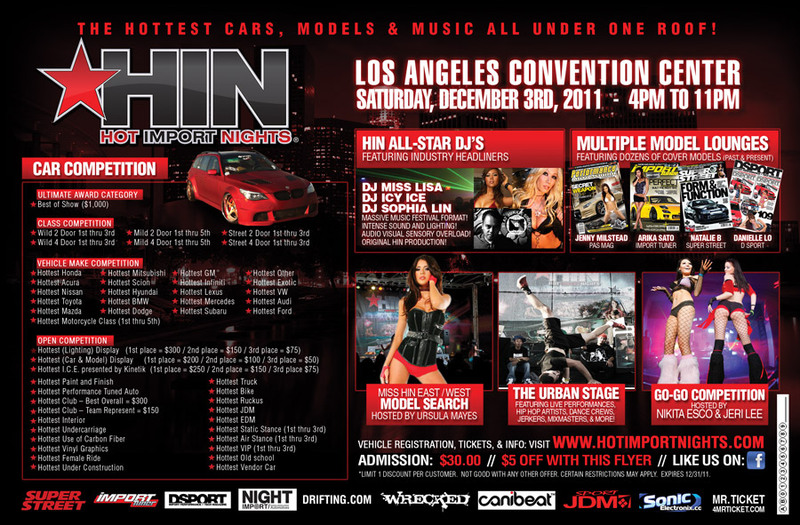 Enter your ride, join the crowd and meet the models of HIN. December 3, 4-11PM at the L.A. Convention Center. 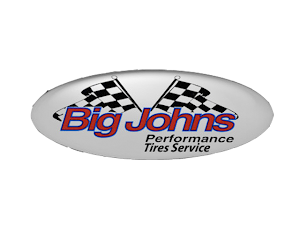 Print this flyer to get $5 discount.